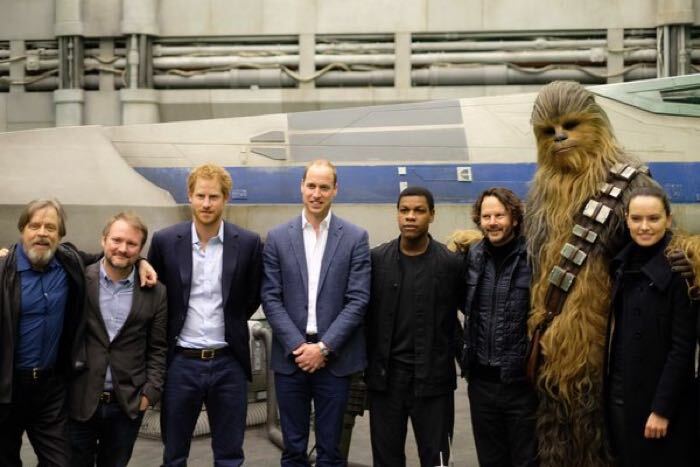 Star Wars Episode VIII is currently being filmed at Pinewood studios in the UK and Prince William and Prince Harry recently paid a visit to the studio. According to a recent report from the Daily Mail, the two princes may actually be starring in the new Star Wars movie as stormtroopers. A source told The Mail on Sunday: ‘The line given was that they were going to have lunch and a private tour of the rest of the set. What really happened is that the director came over and told them it was time to “get suited” and off they went to the wardrobe department. The Prince’s spokesperson said that he could neither confirm of deny that they would be featured in the new Star Wars Episode VIII movie in stormtrooper outfits.